Stay Tuned Industries, Inc. was founded by Ray Slocum in 1983. 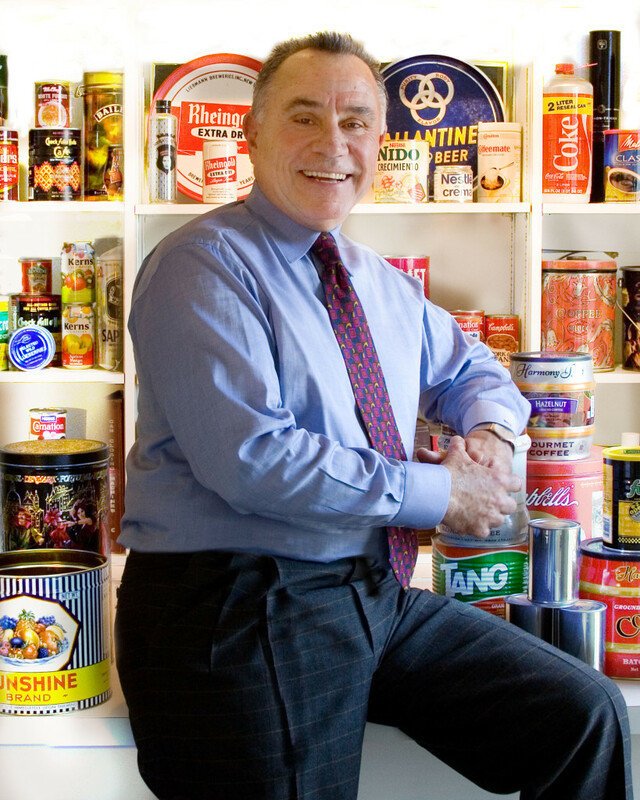 Preceding STI, Ray started his career at Continental Can Company (CCC) in 1969 as sales representative responsible for NYC area customers General Foods, American Home Products, Chock Full o’Nuts, Beechnut-Martinsen, Tetley, Lever Bros., Canada Dry, White Rock Beverages, Schlitz, Piel’s, Rheingold Brewing, and many others. In 1979 Ray spent 5 years representing Central States Can Company in the NE USA for sales of Tinplate and Aluminum Food cans and easy open ends. Aluminum Food cans replaced significant portions of the traditional tinplate meat, pet food and snack business in the USA. Ease of opening, stackability and improved product compatibility were some of the reasons for this transition. Central States was a pioneer in the development of the 2 piece Aluminum food can. Self Manufacturers of cans in the early 90’s were under pressure to modernize 3 piece technologies to convert to 2 piece D & I cans. Thus, Campbell’s Soup, Nestle, Del Monte, Finger Lakes, and Ft. Madison Can became part of Silgan containers. Several can self-manufacturers remained and invested in new technologies and equipment, Can Corp. of America, Seneca Foods, and Goya. The large commercial can business in the USA today, Silgan Containers, Crown, and Ball Corp., provide a variety of food and beverage containers to the large USA Marketers. Ardagh Packaging (formerly Impress) expanded their can business in the USA with two new can plants and one easy open end plant.